The stories from this our fourth and final 100 of the year, from the front of the field right through the middle to the final few were truly remarkable and echoed many of those we've seen throughout 2016 at other events. 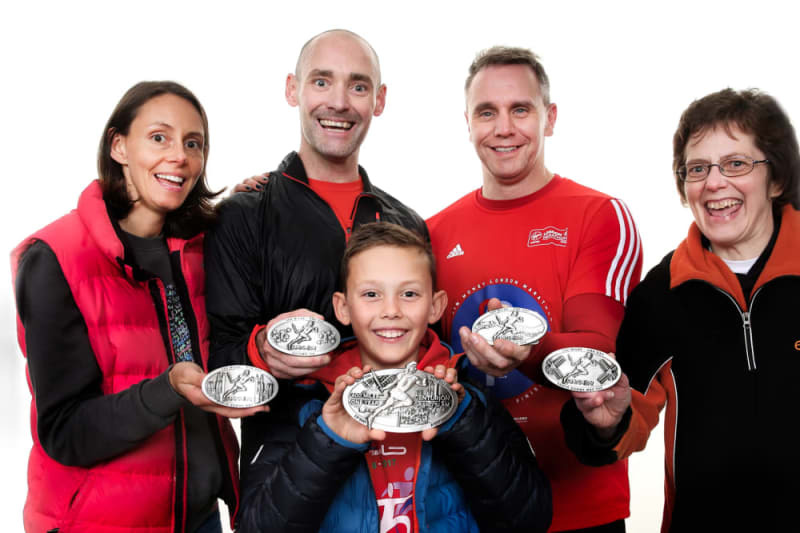 The Autumn 100 has grown steadily each year to this it's fifth edition, where we would welcome 245 runners to Goring and Streatley for the 1000 start Saturday morning. Conditions were good both weather wise and under foot and there was much excitement to see what results the weekend might bring. 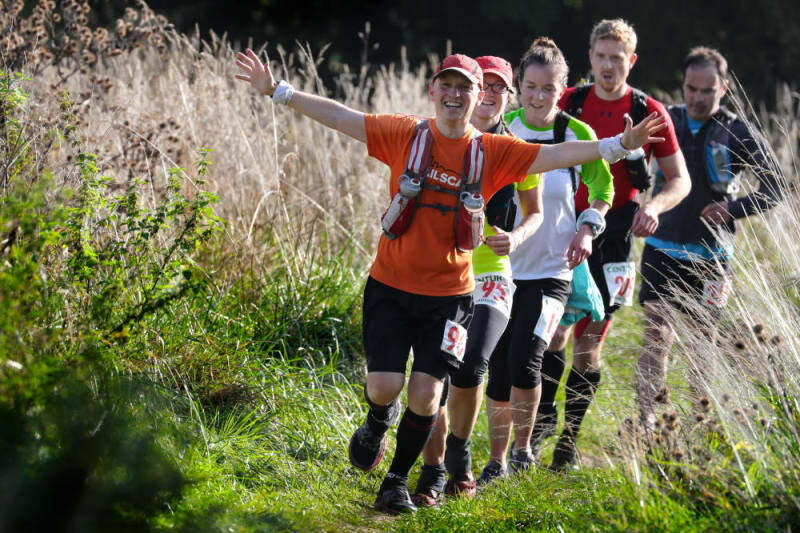 The series of four different 25 mile out and backs, returning to Goring each time, create a unique opportunity for everyone involved in the race to see it unfold each step of the way. 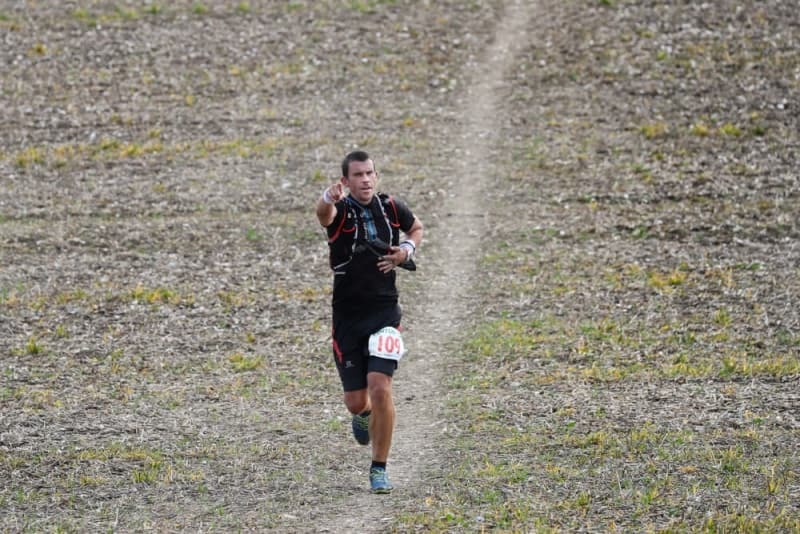 Spur one is flat, fast and slightly shorter than the other three, but nevertheless when leader Mark Denby appeared back in 2:46 elapsed, a full 24 minutes under course record pace, there was more than a little discussion around whether he could possibly hold on to that kind of pace. 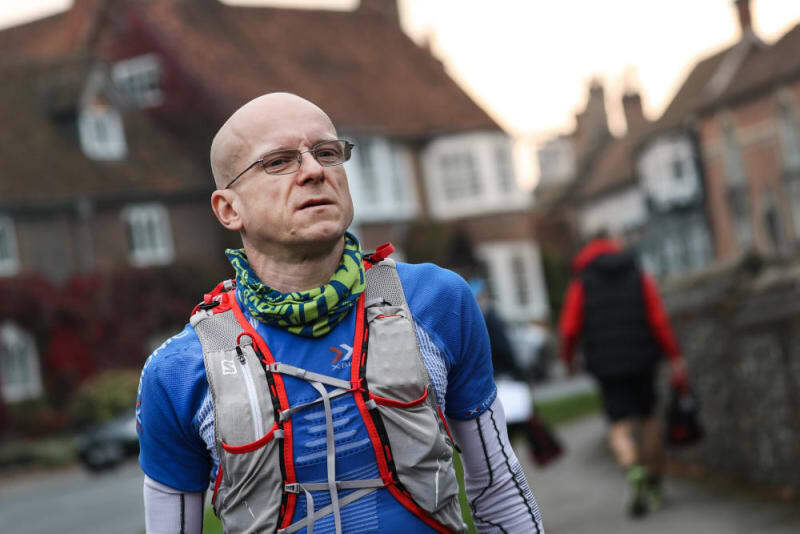 We've yet to have anyone break 14 hours at one of our events (Mark Perkins' 14:03 at the 2014 SDW100 is still our all time record), but Mark Denby was out on sub 12 hour pace. Behind Mark, Ed Fisher appeared also well under 3 hours, followed by John Stocker, the leader of the Grand Slam standings for this year, in 3 hours flat. At this point, usually I'd go on to talk about the overall race and focus on the top three men who tend to take the podium places before going in to the ladies race, but the ladies in the field and one lady in particular were about to show the guys how to run 100 miles. Behind the top three, Susie Chesher came in to HQ in fifth overall with 3:16 elapsed looking cool, calm and collected. 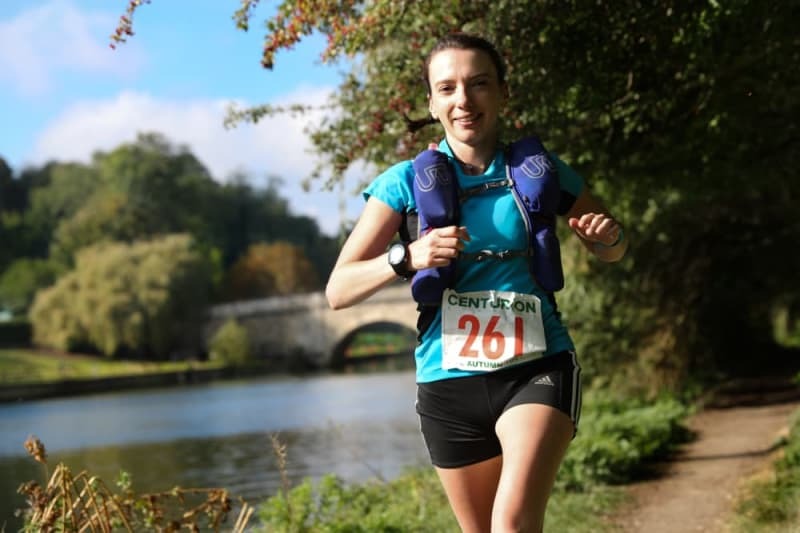 Without crew or pacers she simply went about the business of running within herself. 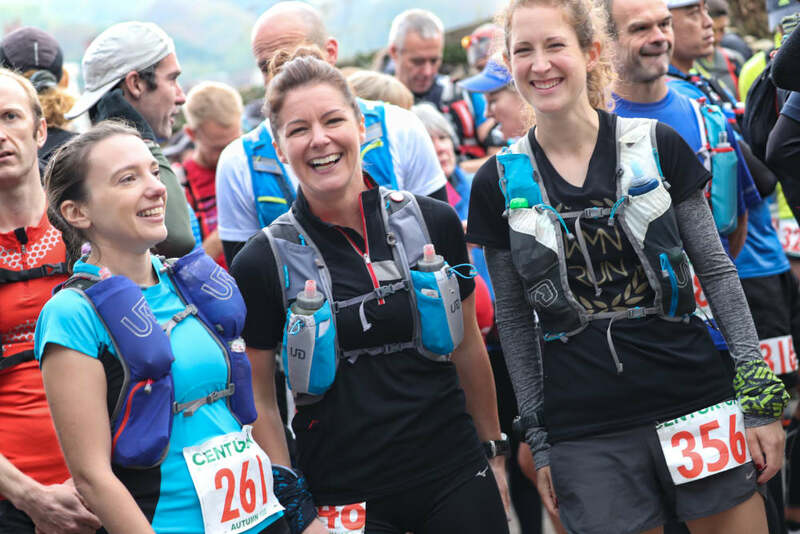 Pre-race we had hoped for some exciting racing amongst the women and true to form, Jess Gray sat on Susie's heals for the first Spur and out to the far point of leg two at Swyncombe, before Susie began to steadily increase her advantage. What also came with that was a gradual overhauling of almost everyone ahead of her. Back at Goring at half way, Mark had given back ten minutes of his huge spur one buffer over the record but led comfortably in 6:16 elapsed. He made his way out on to the Ridgeway and seemed to have the weather Gods on his side as showers past all around but seemingly not over head. At the 100km mark at Chain Hill, his time of 8:14 indicated he was losing a little time on each leg, but only a couple of minutes at most and he ran away from that check point still with a spring in his step. It seemed we were going to witness something special. He arrived back off of Spur three in 10:02 elapsed and now had not only the course record but the overall Centurion 100 mile record within his sights. Spur four out to Reading and back on the Thames Path is a tough leg to finish with, mostly mentally albeit if a runner has enough in the tank it's flat, fast and good running. Mark did have enough in his legs. He ran a superb final leg, the fastest we have ever seen, to eventually cross the line in 14:07 for a massive 28 minute Course Record. I don't think anyone was as suprised as Mark. His was a brave race, run from the gun and whilst many jumped on it initially as a suicidal opening gambit he proved everyone wrong and ran a truly exceptional final third. His was the second fastest all time performance at a Centurion 100. Perhaps a pang of sympathy for Mark, however, as what was one of if not the finest display of running all year was over shadowed by arguably the best female 100 mile performance we have ever seen. 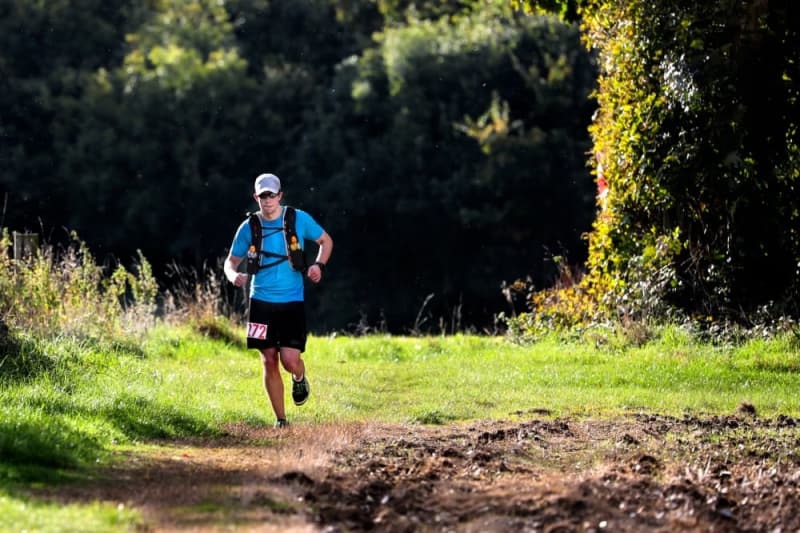 By the time she had come off of leg three, Susie had caught second place overall John Stocker as he took some time to rally in the check point. Susie methodically went through the motions of ensuring she had everything she needed to run a solid final leg and she looked supremely focused as she left to finish the job. It became apparent when she hit the final turn around at Reading in 13:03 that we were going to see a fatest all time female 100, the only question was by how much. Susie crossed the line 2 hours and 19 minutes later for a final finish time of 15:22, taking 50 minutes off of the course record, becoming the first lady to break 16 hours and doing so by a full 38 minutes. A time that was also good enough to give her second overall on the day. Her assessment on finishing of 'that went pretty well then' summed up the manner with which she had executed her race. Behind Mark and Susie, John Stocker ran home for third overall and with a time of 16:14, betters the overall Grand Slam 100 mile cumulative time by a scant eight minutes. He had a job to do and whilst his start was also in his own words 'a bit quick' he was able to use all his strength and experience from a long year of racing to hold on to his prize. Ed Fisher came home third male in 16:17 elapsed just three minutes behind John. Second lady and 5th overall was Jess Gray, who on any other day would most likely have been at or close to the front, but she can be very proud of her first 100 mile finish in a time of 16:42. Third lady Cat Simpson, home in 17:24, pulled her usual trick of starting steady and then cruising through the field. 34th after Spur one she finished in 11th overall. Perhaps best of all was the look on Dad Simpsons face considering the possibility he may be dropped as her pacer as he hovered in HQ waiting for her to come in! We went on to welcome a massive 106 runners home under the 24 our mark for their One Day buckle and a total of 179 runners crossed the line for an official finish. 24 Grand Slammers completed their fourth and final 100 of the year in the process. Ken Fancett finished his 4th Grand Slam, once again this entire report could be about that one man. Wendy Shaw, fourth lady in a Personal Best finished her 16th 100 and her 3rd Grand Slam. Whilst all of the finishers deserve special mention, there are two individuals I will touch upon. Firstly our very own Russ Tullett, who finished his first 100 here just outside of 24 hours. Russ has volunteered at I would hazard a guess at something like the last 20 events. Not only does Russ volunteer, he is there from opening of registration, to closing of the finish performing every duty under the sun. No job is too big, too small, too dirty or too tiring for him. He has become the most integral part of our team over the last few years giving everything to the sport when he was injured himself and unable to take part when he so dearly wanted to. 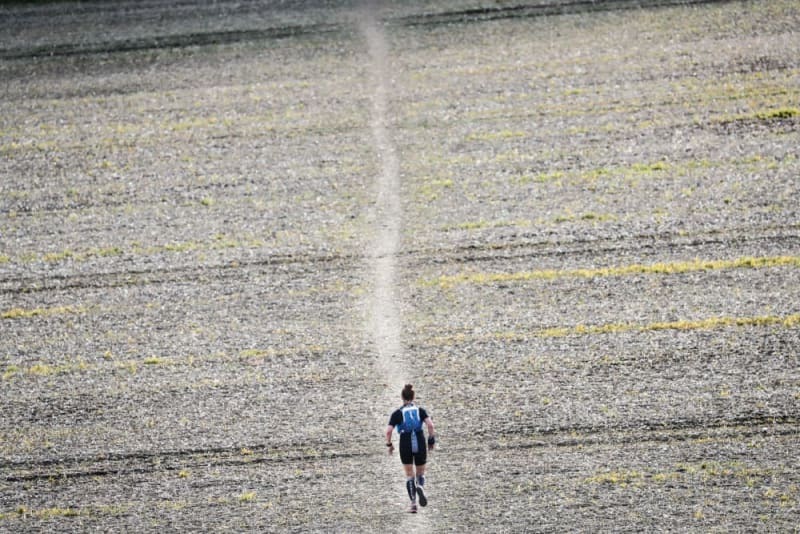 After a long year of training and gradually working through his recovery he lined up and put himself in a huge amount of pain to get himself over that line. A finish deserved on so many levels. And finally, a mention for Tinu Ogundari. Tinu began running 100s with us a couple of years ago and in mutiple attempts hadn't reached the finish. 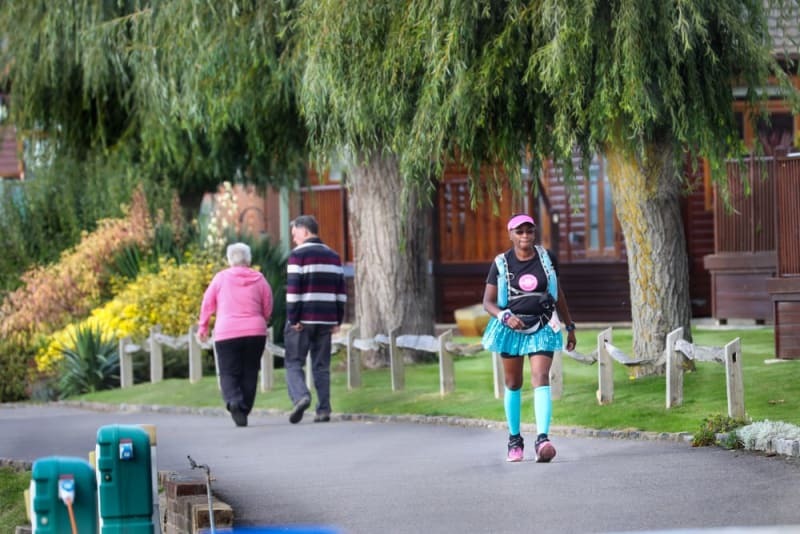 Tinu is not a fast runner, she doesn't profess to be and to be perfectly frank I think there are a lot of people over the years who have thought that her dream of finishing a 100 mile event would forever be beyond her. But this weekend, despite spending most of the race as the last runner out on course, she applied herself every step of the way, wasted no time in check points and worked as hard as anyone else we've seen. She went out on leg four just half an hour under the cut off and it seemed likely she would come up just short once again. But despite leaving Reading in last place, she motored her way back to us to cross the line ahead of five other runners in 27:31. This our almost final 100 mile finish of 2016 sums up what this distance is about. Perseverance. To all who thought it impossible, for all of those times Tinu has missed cut offs and ridden the sweeper bus, to those who looked on and thought she didn't posses the speed to do it, she showed them how. Thanks as always go to our volunteers without whom none of this is possible. See you all in April 2017 for the Thames Path 100.